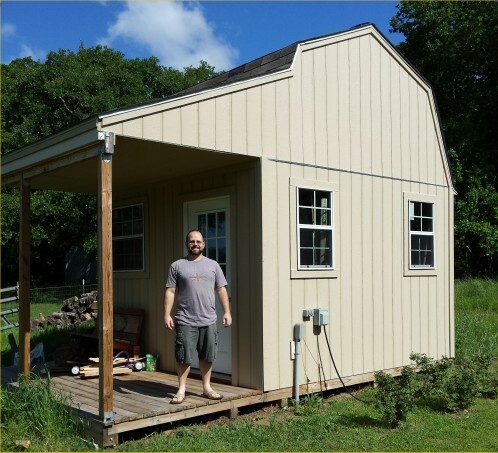 David built this neat barn shed with porch using 3 different plans that he purchased from me here at shedking. He took bits and pieces from each plan and built the neat shed you see below. David with his Neat Barn Shed he built! "I purchased a few plans from you almost 2 years ago. I couldn't decide which one I wanted to build. I finally decided to combine plans and ended up with a 12x12 shed that has a 6x12 porch. The total footprint is 18x12. It is amazing and I couldn't have done it without your plans/instructions. I attached some pics of the finished product. I will be painting it next month. 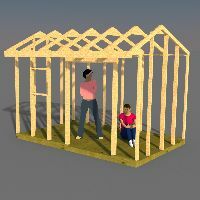 Thank you for the support and I will be back to purchase plans to build a chicken coop soon." 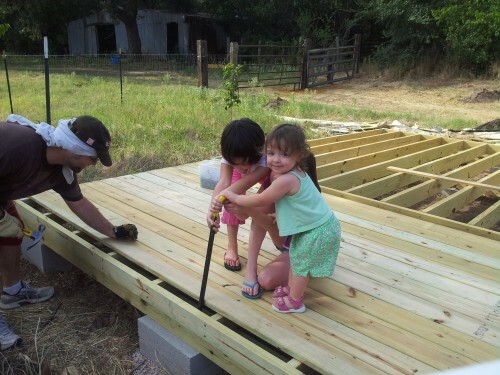 David's daughters helping him build the floor! "I boxed in the end of the porch and I do use it to store pvc pipe and random over stock that I use to maintain the house. I ran electric to it so I can run a window AC unit and so I could have somewhere to plug in my RV. My wife and I use the shed as a glass shop. We make stained glass pieces in there and I also blow glass beads on a very very small scale as a hobby. I also do some wood working in there. I built an 8x12 loft in the main part of the shed that can store tons of stuff, especially when you add the space over the porch. The windows and ridge vent create a great draft that keeps the shed cool and well ventilated during the not so hot months. Your plans made all of this possible and I can't thank you enough for all the work that went into them. Here is an official statement from me to you (shedking) for anyone considering a shed. 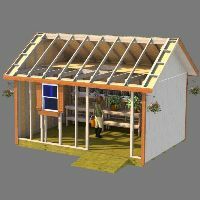 "You can't go wrong with Shed King's shed plans. They are detailed and extensive. 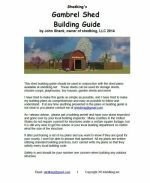 Every detail is explained well and most steps have a picture to help guide you through the building process." "I have never attempted something this size before, but Shed King's plans made it easy. It looks like a pro built my shed. My family and friends are jealous and want to know when they can have one. I also compared my shed to similar sized sheds at local hardware stores and mine is more sturdy and almost half the cost. A+++++ Shed King!" "Thank you again for the plans, I will send a few more pics soon." A view of David's barn shed from the back. 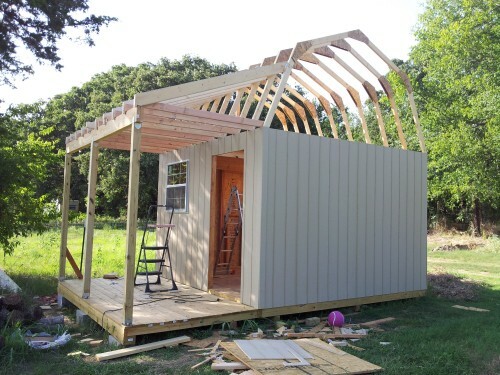 David thank you so much for sending me your pictures of your shed building project! It's quite an accomplishment and one that you can be very proud of for years to come. And thank you for all the nice compliments about the plans. I try to make them as easy to follow and use as I possibly can. 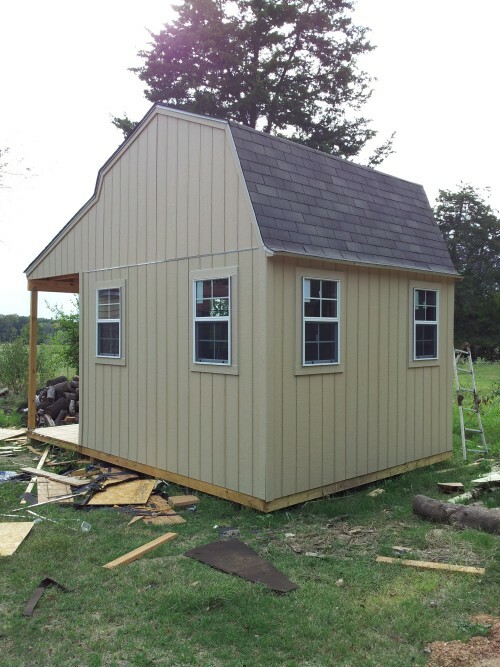 The fact that you used 3 of the plans I sell, combined a little from each, and built this magnificent storage shed is really cool on your part! 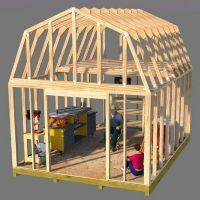 Each one of the barn shed plans David purchased to build the barn shed you see above are listed below if you would like to check them out.